After two nights in San José we took a bus up to Monteverde. This small town on the edge of the rainforest makes a good base for sampling a variety of tourist attractions. but the best show in town was at Amigos bar, where we watched Costa Rica win their World Cup game against Greece on the big screen (if you root for both sides, you can’t lose). The only problem with Monteverde is that it is… touristy. But I guess you can’t have it both ways. And the food is great! 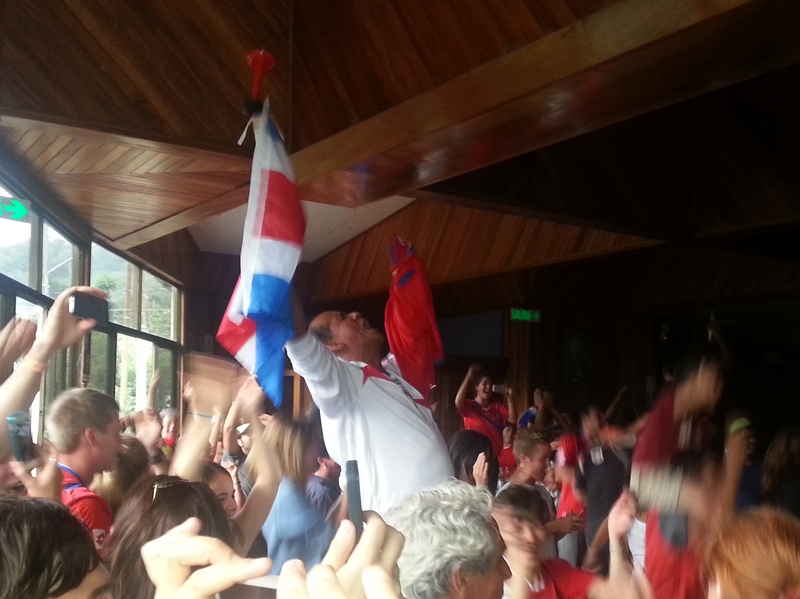 This entry was posted in Elsewhere, Food and tagged Costa Rica, Monteverde, World Cup. Bookmark the permalink.